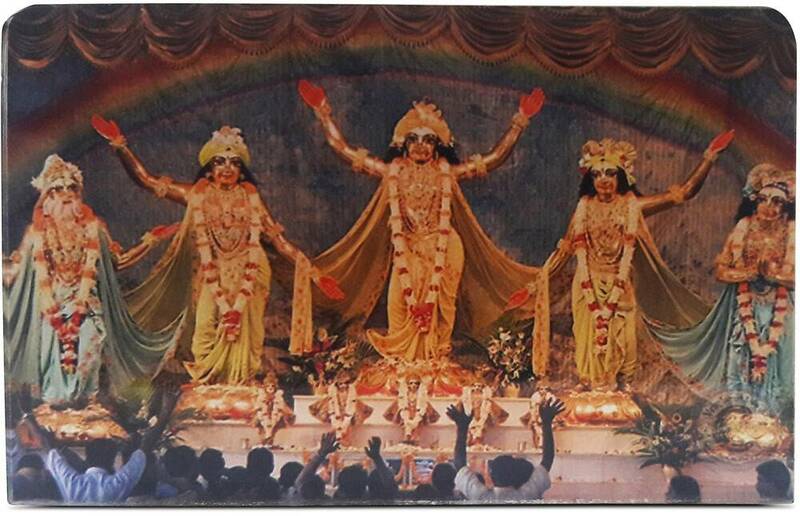 These nice quality Mayapur Pancha Tattva Acrylic Stands are 3" wide by 2" high (inches). You can easily fit one on an altar in a temple or home. You can also get one for your workplace desk to remind you of the Pancha Tattva throughout the day.